This weekend the group wanted to lay low and just relax. Thanks to our host we gathered in a beautiful home on the hills and decided to experiment. 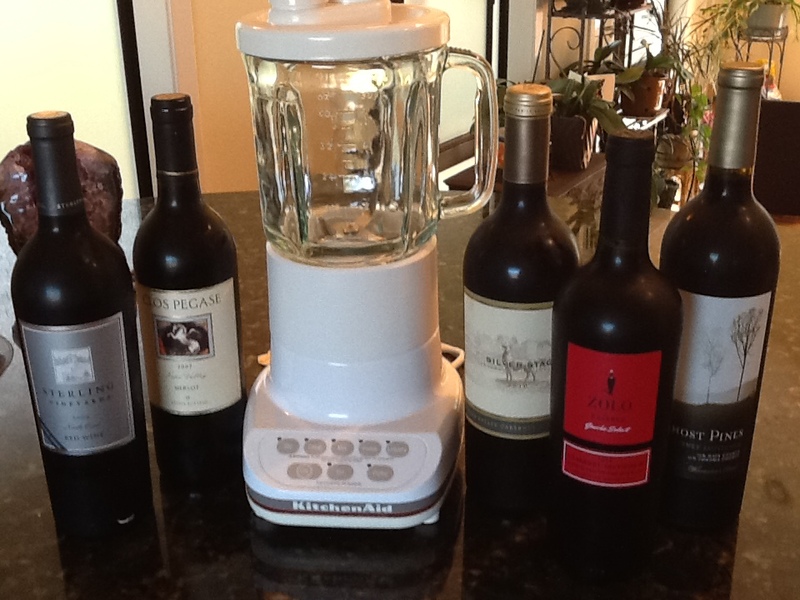 Yes we put wine in the blender = Hyperdecanting. We are novices, and many of us tech geeks, so after recently reading about this from a twitter follower the first thing we did was a google search for hyperdecanting. The result was 25 pages displaying 243 of the most relevant results going back to 2011 with write ups in the NY Times, Businessweek, Der Spiegel to name a few ( I have to believe there are many more, but it still was impressive). We all bought our Venturi aerators when they first came out, I use it for red wine. Our host had several: red wine, white wine and even a spirits aerator – do you need all that? (Note to self – subject for a future adventure). Apparently there is science behind this, and former Microsoft CTO and master chef Nathan Myhrvold writes about it in his book Modernist Cuisine: The Art and Science of Cooking. So we set off to do a blind taste! We selected a few bottles from those we intended to drink first, all red, and with great doubt and trepidation we started blending. One by one we uncorked the bottle, tasted, took notes ( we knew we would need them at the end of the evening) and then blended, tasted, took notes. Some cringed as the blender swirled and the wine foamed. The habitual wine swirling snobs (a term of endearment) felt a little odd when someone pointed out that the wine had just been blended and that it probably didn’t need any more air. 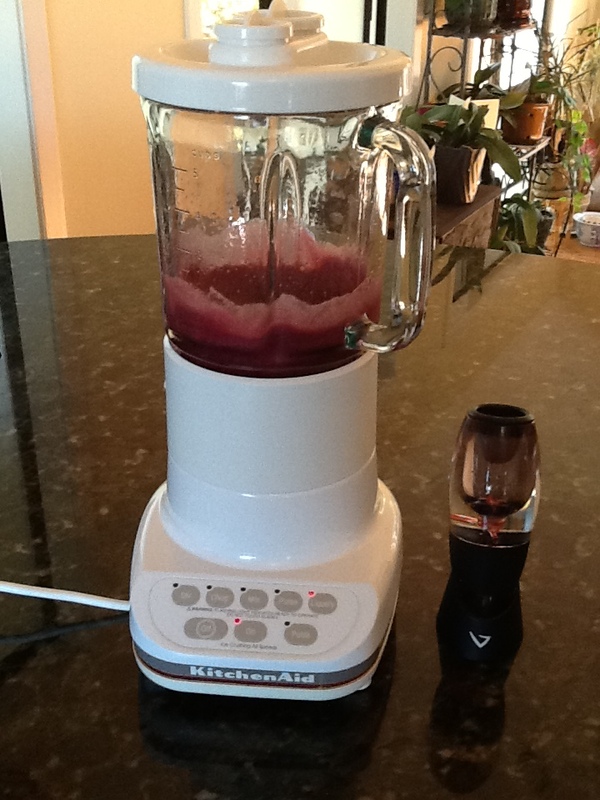 It was quite the experience, I’m not sure I’ll ever look at my blender the same way, and for sure I will leave it impeccably clean after “normal” use for the next time I open a bottle of red. The results? Oh yes, in all cases the aroma and taste changed and most agreed that it was better, mainly smoother. As the scribe, I brought everyones notes home only to find many red wine spots and the sad fact that most of the handwriting was illegible, next time we’ll do a recording. Categories: Blind Test, Wine | Tags: Hyperdecanting, Modernist Cuisine, Nathan Myhrvold, venturi aerators, wine | Permalink.